Finally, finally a format that does Wong Kar-Wai's masterpiece justice! Having caught it on it's theatrical release (multiple, multiple times) more than a decade has elapsed since I last felt I was properly witness to the depths of how gorgeous this film is, as DVD and or Streaming, never quite cut it. At last, that 35mm experience has been recreated. Blu-Ray (and a masterful transfer by Criterion) conveying what is simply one of the most beautifully realized, fluidly coherent, visually rich, elegant, achingly romantic, nostalgically elegiac films ever made. Topped my personal Films of the Decade list of the first ten years of the 21st Century, continues to be untouchable to such a degree as to be in a class of it's own. Wong himself will never better this, much less all those who claim it's influence. Ranking as one of only three films in the top 100 from the current century in Sight & Sound's "Greatest Films of All Time" poll and at the time of release meeting with consistently brilliant reviews from the Guardian UK, New York Times and the Village Voice. From the Criterion Collection: "Hong Kong, 1962: Chow Mo-wan (Tony Leung Chiu-wai) and Su Li-zhen (Maggie Cheung Man-yuk) move into neighboring apartments on the same day. Their encounters are formal and polite - until a discovery about their spouses sparks an intimate bond between them. 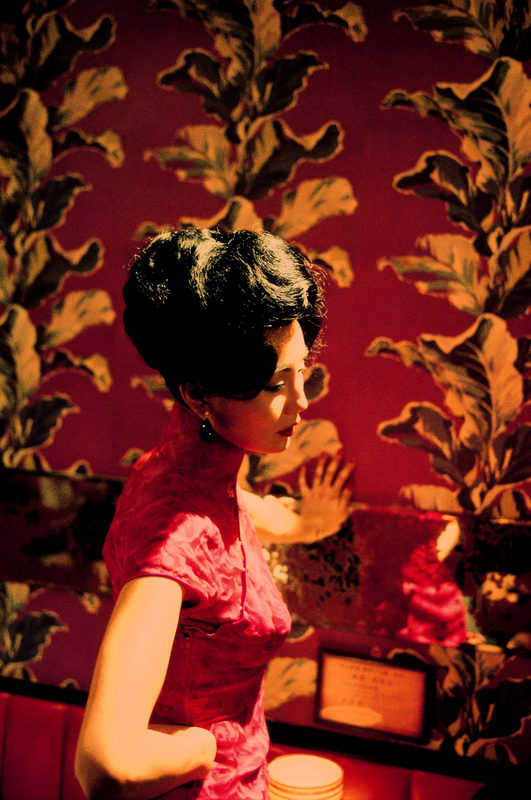 At once delicately mannered and visually extravagant, Wong Kar-wai’s In the Mood for Love is a masterful evocation of romantic longing and fleeting moments. With its aching musical soundtrack and its exquisitely abstract cinematography by Christopher Doyle and Mark Lee Ping-bin, this film has been a major stylistic influence on the past decade of cinema, as well as a milestone in Wong’s redoubtable career."